Following its April 3 Annual Membership Meeting, the Italy-America Chamber of Commerce is pleased to announce the election six new members to its Board of Directors, as well as the full slate of directors and officers for 2019. The Italy America Chamber of Commerce (IACC), for over nine years has promoted the “Ospitalita’ Italiana” certification program set forth by the Italian Government to promote Authentic Italian Restaurants around the world. Throughout the years, the IACC has certified over 200 in the Tri-State Area, as well as in neighboring states…. 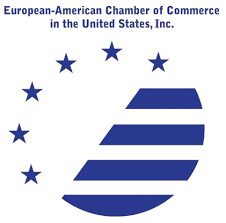 The Italy America Chamber of Commerce (IACC) is a founding member of the European American Chambers of Commerce, and sits on the Executive Board of this group of 19 Bi-National Chambers of Commerce.